But what is Pantone? And why does their announcement of the Color of the Year create such a buzz? Since their inception in 1963, Pantone has worked to create a universal system for identifying, matching, and communicating colors for consistency in the print and design industry. It’s why we all can identify signature colors such as the iconic ‘Tiffany Blue’ (yes please!) or ‘Minion Yellow’ (bello!). In 1999, Pantone announced ‘Cerulean’ as its first ‘Color of the Year’ and since then, experts at Pantone study and observe color influences from around the world yearlong to predict the color we’ll be seeing in… well… basically everything! “Color enhances and influences the way we experience life. As a shade that affirms life through a dual role of energizing and nourishing, PANTONE 16-1546 Living Coral reinforces how colors can embody our collective experience and reflect what is taking place in our global culture at a moment in time” – Laurie Pressman, Vice President of the Pantone Color Institute. 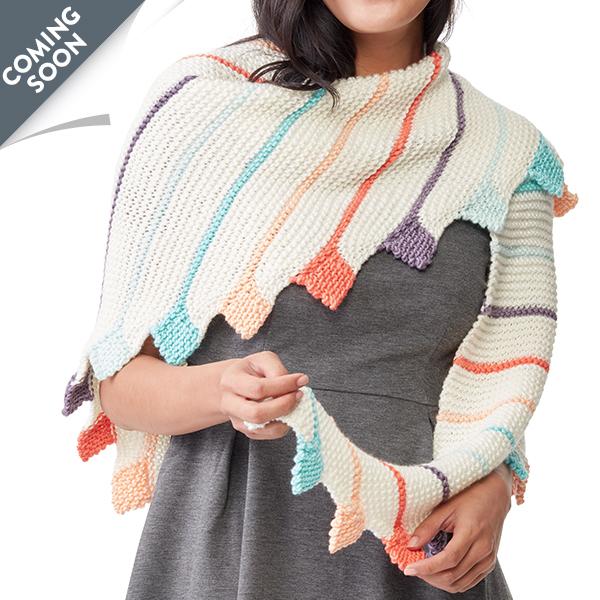 Last year, Caron teamed up with Pantone to bring Pantone’s vibrant colors into the hands of knitters and crocheters everywhere. 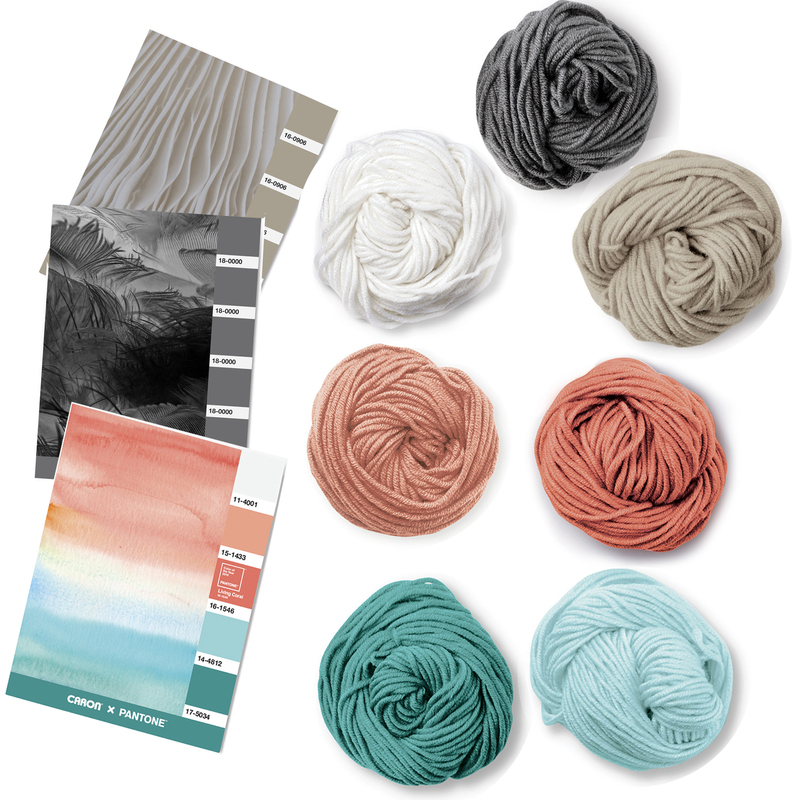 Using their color system, we created exciting, dynamic combinations that ignite creativity and inspire crafters. 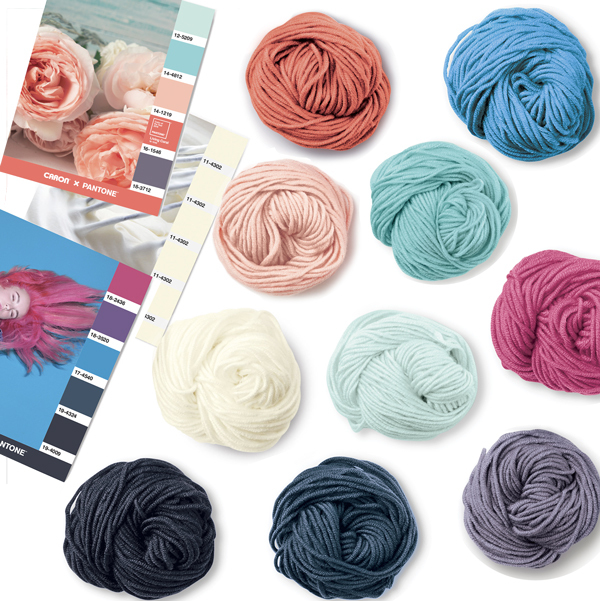 This January, Caron x Pantone is pleased to announce the release of 2 new braids that will include the 2019 Color of the Year! 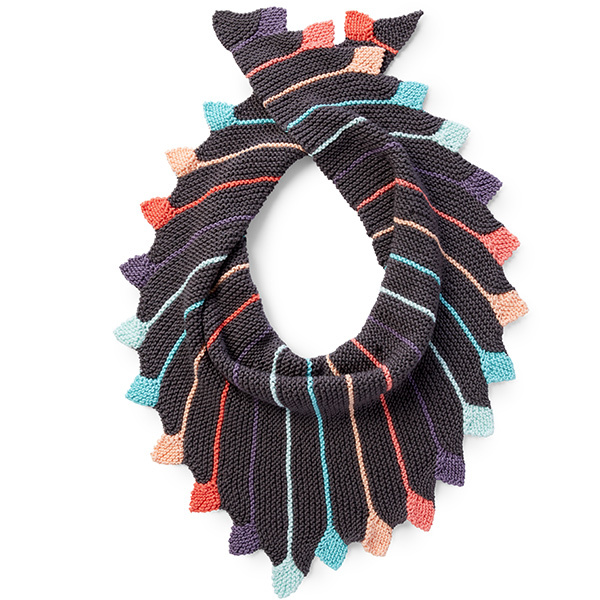 Lovely Coral features Living Coral paired with its most complimentary color – teal! 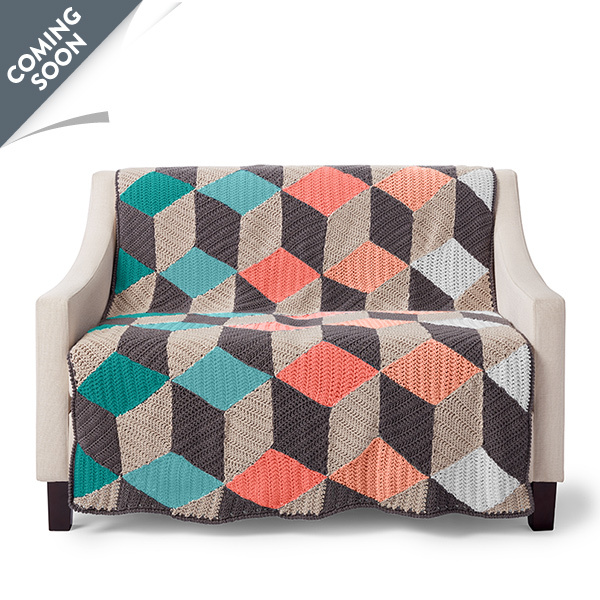 Stepping shades of both coral and teal are balanced with a crisp white. 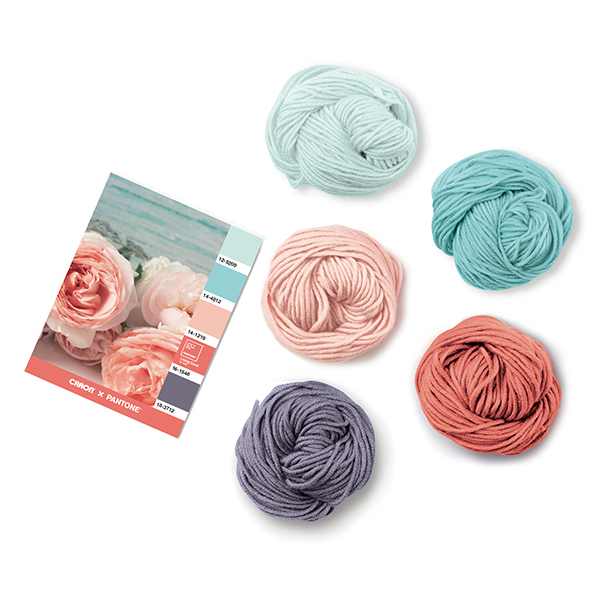 Blushing Coral brings soft stepping shades of both coral and aqua together with one of my favourite colors, a beautiful Purple Sage. 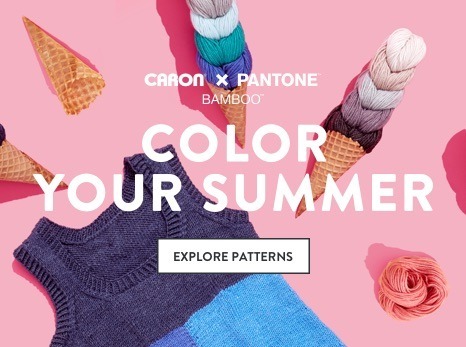 Both of these Caron x Pantone braids are perfect for incorporating this warm and energizing shade into both your home and wardrobe. 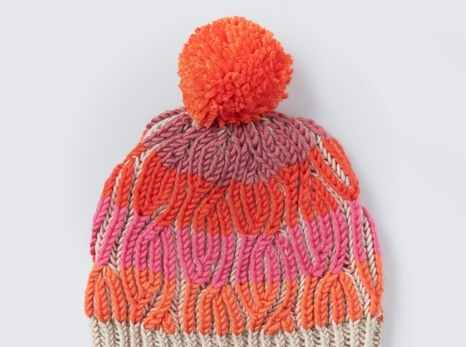 As an accent shade, Pantone Living Coral provides a striking contrast across the color spectrum. 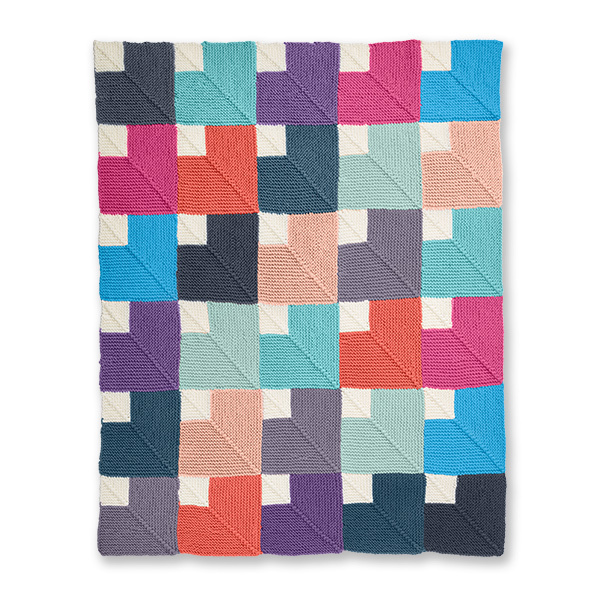 In the Radiant Wrap, Blushing Coral is paired up first with Dane Gray and then in an alternate version with Coconut Cream to provide energetic bursts of color in a versatile wrap that will find a place in your wardrobe throughout the year. 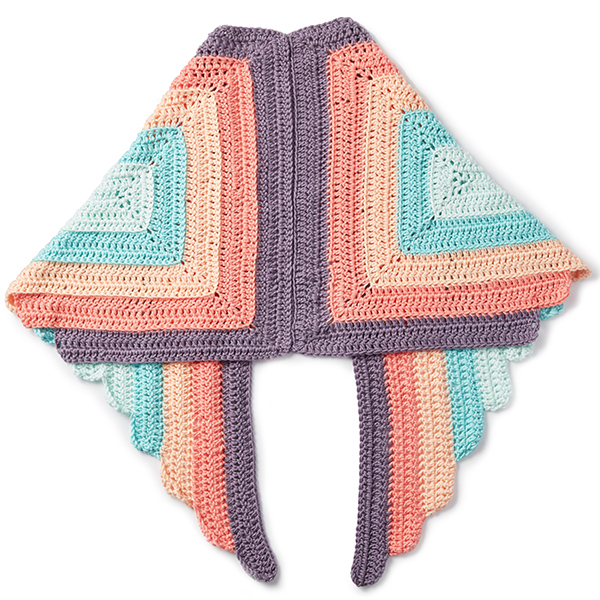 The Wing and a Prayer Shawl perfectly shows off the dynamic between Coral and its BFF, aqua! 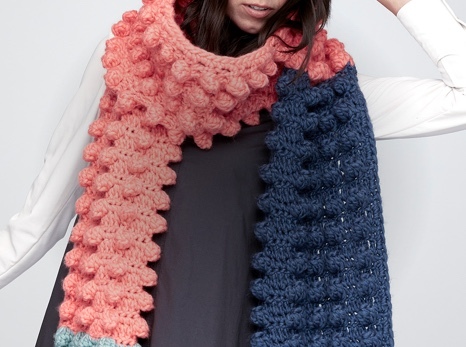 This project makes it easy to wrap yourself up in this buoyant color. Living Coral, when used in home decor accents such as cozy blankets, Living Coral creates a warm, comforting and nurturing feeling in the home. Pantone, Living Coral adds a dramatic pop of color to any room setting with its ebullient nature and playful spirit. 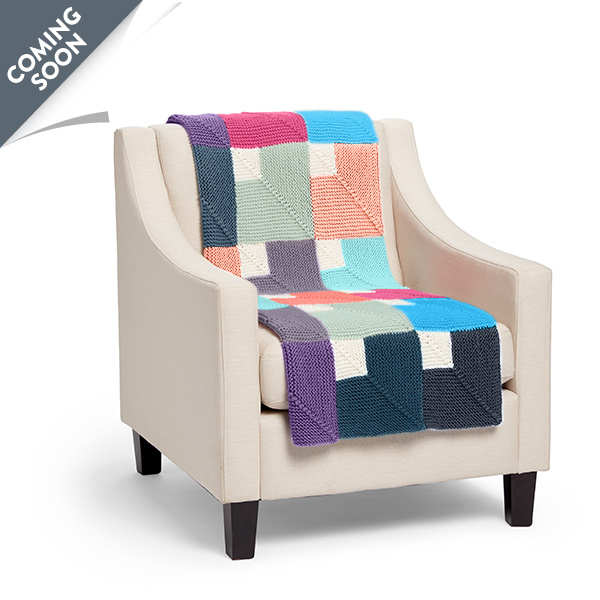 A fun nod to Pantone’s iconic color chip, the Color Chip Mitered Knit Blanket plays with all sorts of vibrant color. In this version, we’ve paired two of our soon to be released braids – Dance Party’s deep blues, vibrant purple & fuchsia gets groovy with Blushing Coral. 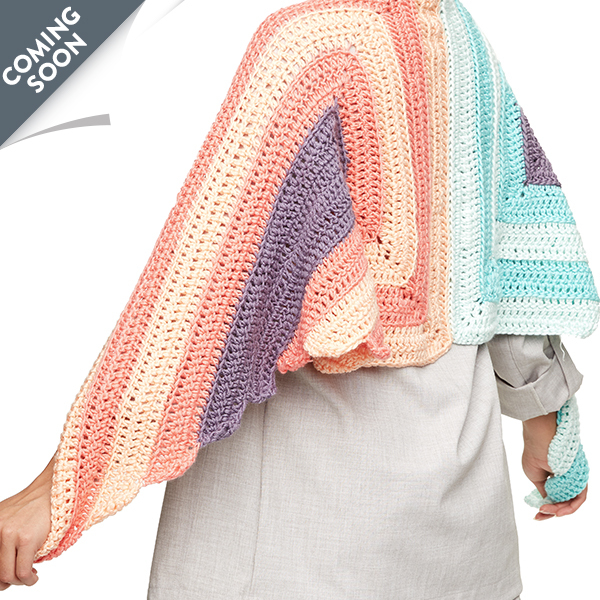 The eye-popping Illusion Infusion Crochet Blanket provides an excellent jumping off point to incorporate Living Coral into your home. 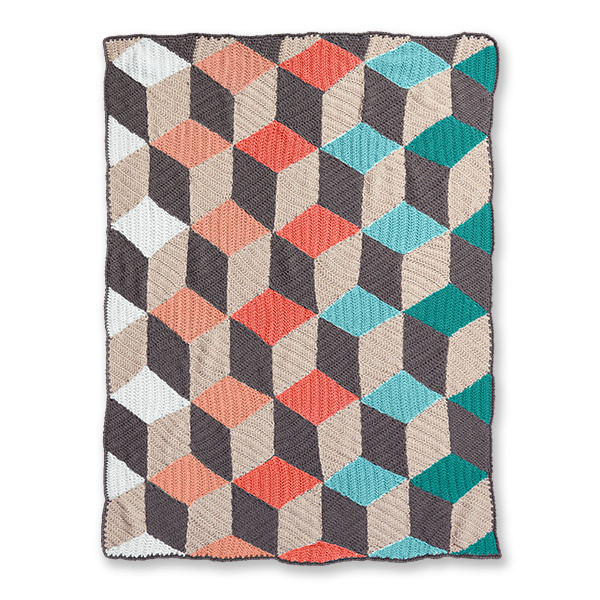 The stepping shades work together to create a blanket that you can not only wrap yourself up in but also looks as though you could actually climb right into! 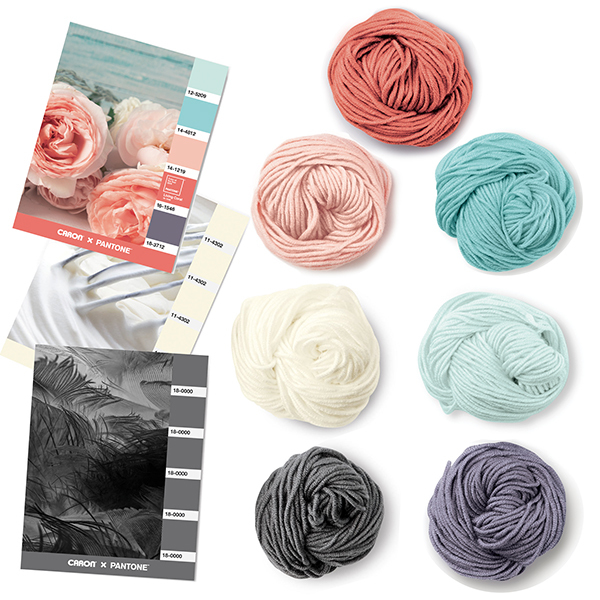 We’re so excited to see how Living Coral will make its way into our lives in 2019, and as always, we’d love to see any projects you create using these new Caron x Pantone braids!